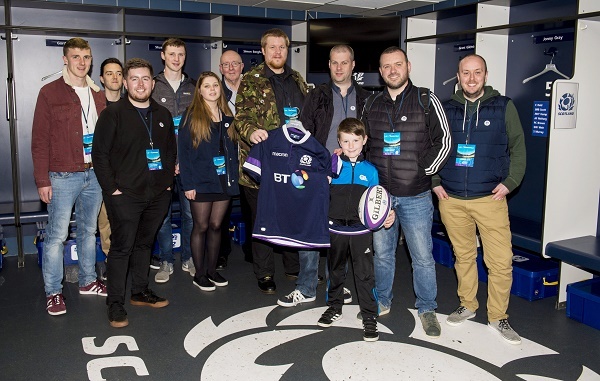 Ahead of the SFA’s decision on the future home of Scottish Football, 100 football fans were given the chance to see BT Murrayfield for themselves during an exclusive tour. The fans enjoyed an additional treat when they were joined by someone who knows the stadium inside out, Edinburgh Rugby and Scotland forward, Hamish Watson. 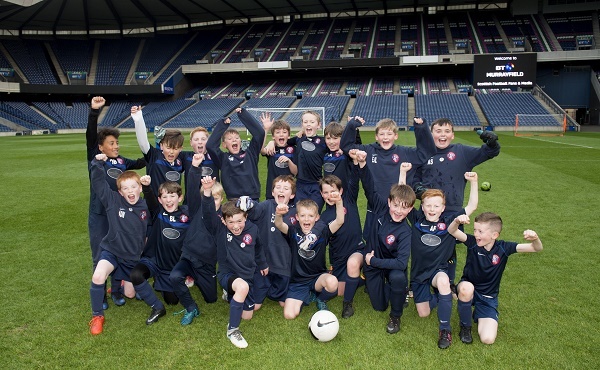 Later in the day Scottish Rugby welcomed more members of the football community as more than 50 young footballers from Spartans FC’s Academy teams trained on the hallowed turf. Scottish Rugby’s Chief Operating Officer Dominic McKay said: “We are extremely pleased to have had the opportunity to welcome Scottish football supporters into our home, hear their views and show them what BT Murrayfield has to offer. “All who attended not only had the chance to learn more about the rich history of the stadium – which has hosted its fair share of football matches in its time – but also to see the excellent facilities first-hand. Less than a week since five games of rugby were played on the state-of-the-art hybrid pitch during Scottish Rugby’s finals day, Silver Saturday, it was transformed for 11-a-side football. Scottish Rugby has taken up the Scottish FA’s invitation to bid to bring Scotland’s international football matches to Murrayfield from 2020 onwards. The SFA’s current Hampden lease is due to expire and a decision on the future home of Scottish football is expected this summer. 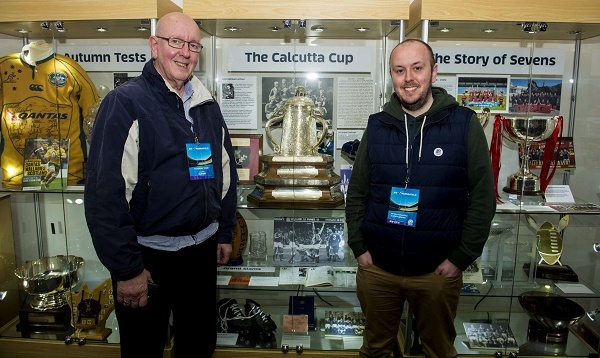 Supporters on the tour had a chance to see Scottish Rugby’s most prized memorabilia, including the recently-won Calcutta Cup, Scotland’s home dressing room, the team tunnel and the Bill McLaren press gallery. While BT Murrayfield has played host to some of the most famous moments in rugby’s history, there have been a number of football memories in recent years. Hearts are frequent visitors to the 67,144 capacity stadium. BT Murrayfield hosted the club’s European matches between 2004 and 2006, and just this season, while work was taking place at Tynecastle Park, the stadium was used for SPFL matches against Aberdeen, St Johnstone, Rangers and Kilmarnock. The Edinburgh side were the opposition when Barcelona came to Scotland in 2007, with neighbours Hibs taking on the Catalan giants the following year. These glamour friendlies saw players such as Ronaldinho, Thierry Henry and Lionel Messi play at BT Murrayfield. Meanwhile, with Celtic Park one of the principal venues for the 2014 Commonwealth Games in Glasgow, Celtic staged Champions League qualifiers at the home of Scottish Rugby.